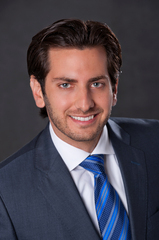 Nicholas D. Siegfried has played a leadership role in the Young Lawyers Division of the American Bar Association Forum on the Construction Industry, which he chaired from 2016 – 2018. He has focused particularly on the group’s efforts behind the ACE Mentor Program, and on March 7th, 2018 he helped to lead students from various high schools in Washington D.C. through the Construction Negotiation Module that he had previously developed for the program. ACE, which stands for architecture, construction and engineering, annually engages more than 9,000 high school students in a free, 16-session after-school program for those who are interested in learning more about career options in the construction field (www.acementor.org). Practicing industry professionals mentor students during a 40-hour, hands-on curriculum that realistically simulates an actual design and construction project. ACE not only exposes students to real-world opportunities, it also financially supports their success through scholarships and grants totaling more than $15 million since the program began in 1994. Nicholas had previously helped develop the program’s Construction Negotiation Module and Mentor Guide, which are now being used by ACE Mentors nationwide to provide students with an overview of construction law, contractual relationships, contract administration/interpretation, construction claims, dispute resolution, negotiation, and settlement. At the event, which was chronicled in a video for the organization in which Nicholas is featured (see below), he helped the team representing the property owner in the negotiation of a construction dispute. The students learned about contract law, dispute resolution and negotiation tactics. Our firm salutes Nicholas for his ongoing efforts to lead the ABA Young Lawyers Division Forum on the Construction Industry’s involvement with the ACE Mentor Program.